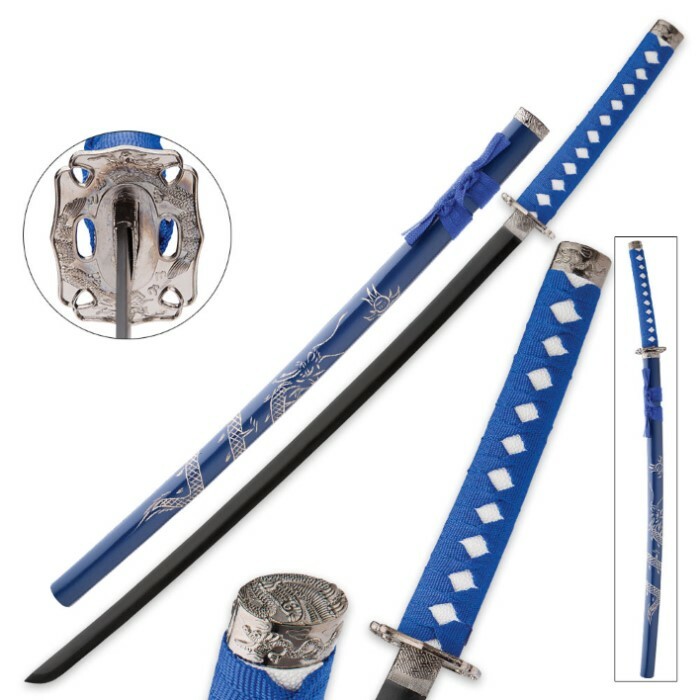 Blue Flying Dragon Sword With Engraved Scabbard | BUDK.com - Knives & Swords At The Lowest Prices! Our new Blue Flying Dragon Sword has all of the exceptional qualities that you’re looking for in a quality sword. The sword has a 27” carbon steel blade with a black finish that is complimented by the blue nylon cord-wrapped hardwood handle. 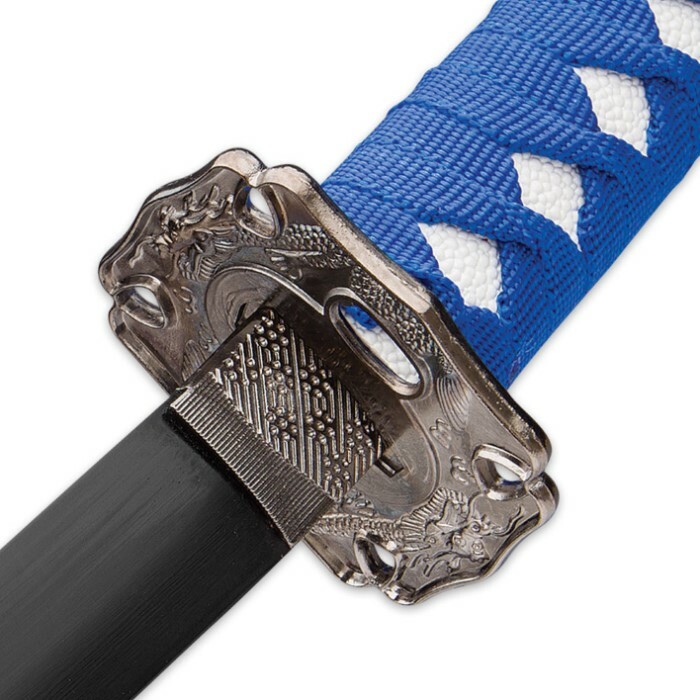 The cast steel tsuba is crafted in the design of a flying dragon, which is also incorporated on the blue scabbard as an engraving. 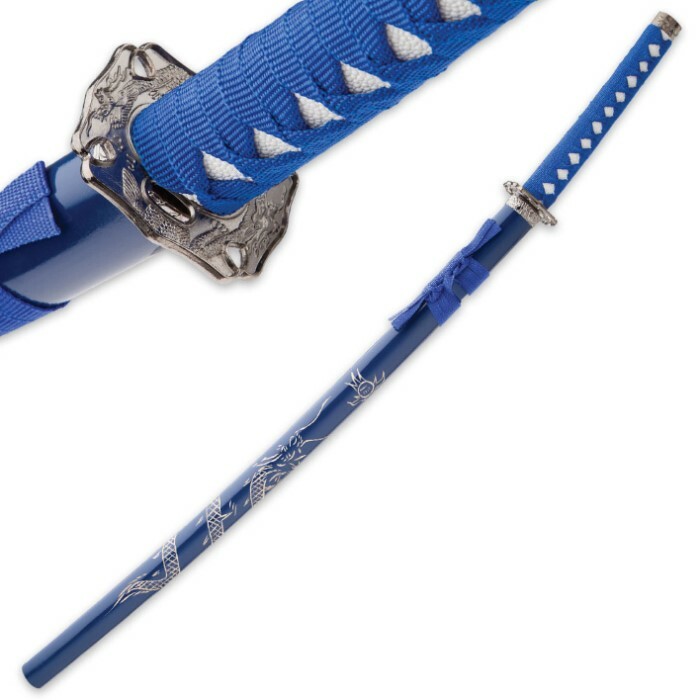 The Blue Flying Dragon Sword is a beautiful display sword to add to your katana collection.